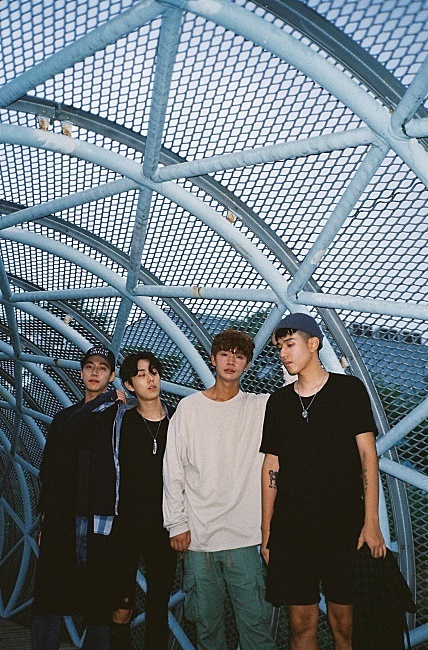 Since the band’s first single “Who” was released in November 2016, the group, consisting of Choi, guitarist Chae Ji-ho, bassist Jeong Ji-hun and drummer Heo Jin-hyeok, has never stopped rocking hard. With straightforward lyrics and catchy melodies influenced by British rock, Wetter carved out a niche with its first EP “Romance in a Weird World” in May last year. 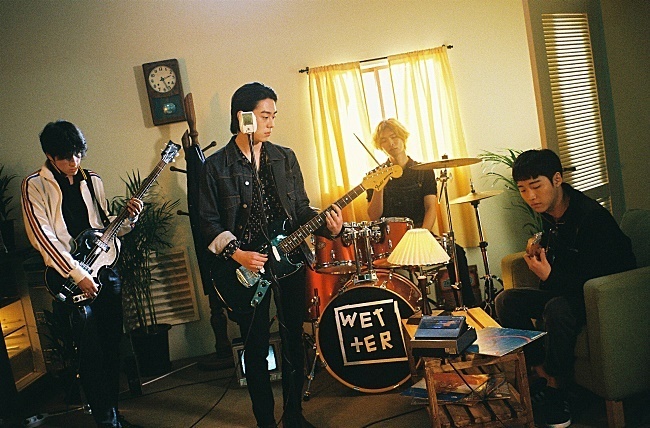 The eponymous lead track also featured on the soundtrack for web drama “Yellow,” which depicted a band inspired by Wetter. Now one of the most in-demand rock bands on the scene, Wetter released the self-reflective single “You, me and us” in December last year. The band, brimming with rebellious rock ’n’ roll spirit, hopes to continue permeating into people’s lives. It further dreams of reviving the rock spirit in Korea, where the genre’s glory days have been said to be long gone. Compared to studio recording, playing live requires quite a lot of effort. Beyond staying in tune, the bandmates have to pay close attention to every single detail while performing in order to maximize harmony. Tunes are often played impromptu, allowing some leeway for them to create their own sounds. And those aspects of rock were what made it attractive, said Choi. “Rock isn’t calculative or tailored like other pop music. Production staff of ‘Yellow’ once asked me to perform our song alone at a fan meeting for the drama, but I refused to do so, because singing by myself, that’s not a band,” he said. With the hope to become the next rock icons of Korea, following in the footsteps of the ’80s Korean rock legends Sanullim and Deulgukhwa, Wetter plans to be a voice of their generation in its next album. The bandmates said they hope to touch on the struggles of 20- and 30-somethings, who are anxious about their future and the widening generational gap. “We may sound arrogant, but we want to be a band that can speak our own thoughts without a filter. And we further hope to inspire and encourage people to freely express themselves too,” said Choi.